← Santa Comes to West Mayfield! It was a close call for local democracy and the rights of West Mayfield residents, but the game ain’t over . . .
As the search for natural gas and fracking activity increases throughout the region, Beaver County, and surrounding municipalities, the residents of West Mayfield have already been adversely affected. It has been well documented that fracking wastewater has already contaminated our drinking water supply sourced from the Beaver River. How adequately Pennsylvania regulates the gas industry and its pollution is highly controversial as well. Environmental advocates have long complained that the Republican governor and Republican-controlled state legislature have too willingly protected the interests of drillers over the well-being and rights of citizens, communities, and local municipalities. Perhaps no better example of this is Act 13, a controversial 2012 state law that restricted local governments’ ability to control zoning in relation to the oil and gas drilling industry. Act 13 established an impact fee for each well drilled, and it set state standards for the minimum distance between wells and streams, schools, buildings and water sources. Act 13’s most controversial component stripped local governments of their authority to have a say in where companies may place rigs, waste pits, pipelines, compressor, and processing stations. The Republican sponsored legislation allowed the gas industry to supersede the will of the people in communities all across the Commonwealth. Act 13 gave drilling corporations the right to disregard any and all local zoning, including safeguards for residential neighborhoods. If a local government passes ordinances and regulations that go beyond the new state standards, the Public Utility Commission would bar the municipality from receiving any impact fee money. But on December 19, 2013, the Pennsylvania Supreme Court struck down portions of Act 13 that stripped local governments of their authority to decide where the natural gas industry can operate in disregard of local governments and communities. Today’s ruling by the Pennsylvania Supreme Court is a historic victory at a critical moment for the people of Pennsylvania. By affirming every Pennsylvanian’s constitutional right to clean air and clean water and upholding the right of local communities to govern themselves when it comes to certain aspects of natural gas development, a clear message has been sent to Governor Corbett and his friends in the energy industry: our fundamental constitutional principles cannot be auctioned off to wealthy special interests in exchange for campaign dollars . . . Eliminating local ordinances and replacing them with a ridiculously low standard of protections, like allowing drilling in residential neighborhoods and next to schools and churches, is not constitutional, not an environmental best practice, nor is it the proper way to do business in Pennsylvania. I have vehemently opposed Act 13 since its inception; in particular, taking away the sovereignty of local municipalities to choose the best options for their own homes and neighbors near gas drilling sites. Every day it seems that we hear a new report about something gone wrong at a drilling site or on the roads traveled by trucks related to the industry, and at the same time we must tolerate an ineffectual Department of Environmental Protection that coddles the fracking companies rather than providing the needed oversight to protect our citizens and environment . . . Local governments are on the front lines and are now our best hope of providing this necessary oversight by using local zoning codes to properly locate drilling activity away from populated areas or drinking water. There are eleven gas wells in Beaver County. Although no drilling rigs are directly within or near the borough, such mining activity is all around us—and expanding and potentially closing in on West Mayfield. 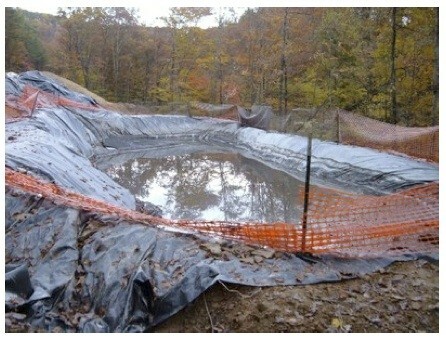 In fact, the borough has already been approached by mining companies to discuss possible drilling activity. As local mining activity increases and spreads out above and below the surface, mining companies will require greater operating space, including expanded locations for the storage of contaminated equipment, toxic chemicals, polluted water and other waste. Additionally, mining related transportation activity will increase, negatively impacting the condition of roads and bridges. Act 13 was designed by the gas industry and leading state Republicans to usurp the long held power of local governments to establish zoning laws, as the state constitution allows. Under Act 13’s (un-constitutional) authority, West Mayfield Borough and surrounding municipalities would not have had the authority to regulate or block such activity within their borders. Those days are over and local authority is restored. Now that the oil and gas industry can no longer set up shop where ever it wants, it is free to to operate where ever it can. With acres of abandoned industrial space where the old Babcock & Wilcox steel mill used to stand, West Mayfield Borough is prime real estate for mining companies looking to expand their ancillary operations in north-central Beaver County. The borough is close to the I-376 and I-76 transportation routes, a rail line, and the Beaver River–all attractive assets once used by the steel industry. 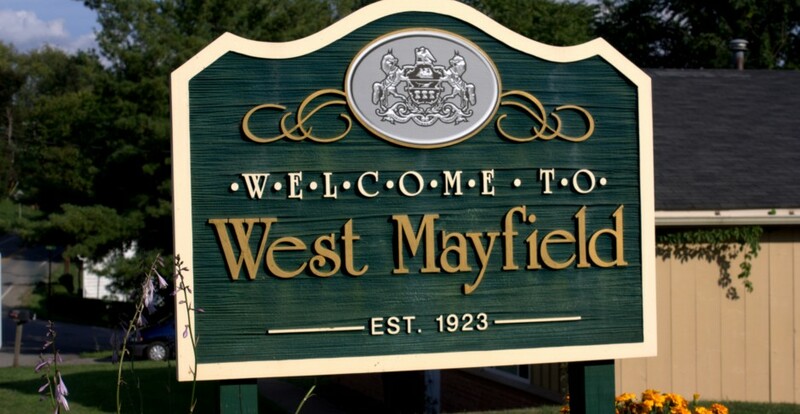 Furthermore, West Mayfield is situated in the relatively rural upper part of the valley–probably a nice, quiet place to be for a controversial activity. If industry growth projections are accurate, it may be a matter of time before the oil and gas industry recognizes the value of West Mayfield and comes knocking on our door, looking to set up shop. Now that the PA Supreme Court has restored gas industry zoning authority to municipalities, West Mayfield residents are empowered through their government to decide if they want the fracking industry in their back yard.